The Coalition for Jewish Values, representing over 1000 rabbis in matters of public policy, today celebrated the decision of the United States to withdraw from the UN Human Rights Council, and thanked President Donald Trump, Secretary of State Mike Pompeo and UN Ambassador Nikki Haley for their leadership in doing so. "Ambassador Haley aptly termed the UNHRC a 'cesspool of political bias," said Rabbi Dov Fischer, West Coast Regional Vice President of the CJV, "and it counts some of the world's most oppressive dictatorships as members. Its egregious and endemic bias against Israel is merely a symptom of that body's underlying disease. No civilized nation belongs among tyrants presuming to dictate on the subject of human rights." The CJV rejected the idea that membership on the UNHRC enables the US to reform it, as suggested by some Democratic lawmakers and left-leaning human rights organizations. The rabbis referred to Secretary of State Mike Pompeo's statement: "The Human Rights Council enables abuses by absolving wrongdoers through silence and falsely condemning those who have committed no offense." "There is no way to reform an organization from the inside when its very core is corrupt," said Rabbi Steven Pruzansky, East Coast Regional VP of the CJV. 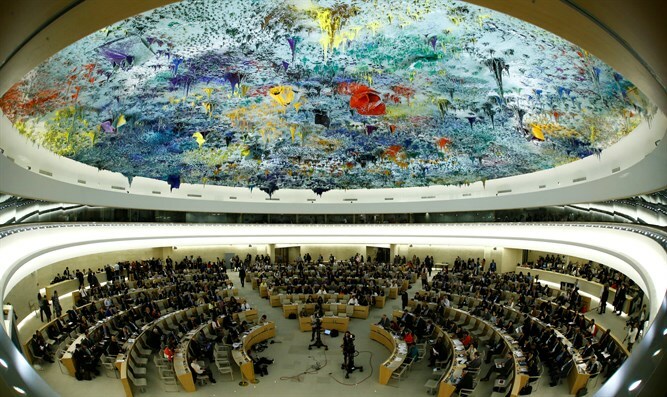 "The UNHRC masks human rights abuses in Cuba, Venezuela, Saudi Arabia and elsewhere, and this will continue as long as it continues to appoint the worst human rights abusers to membership. Granting it credibility, as Ambassador Haley said, was detrimental to efforts to improve recognition of human rights around the world." "President Trump, Mr. Pompeo, and Ambassador Haley all deserve thanks for their leadership," concluded Rabbi Fischer, "because sometimes leading from the front means walking out the door."